In the third window of Update Assist, the names of the files that Update Assist will generate are listed. You can rename these files if necessary. 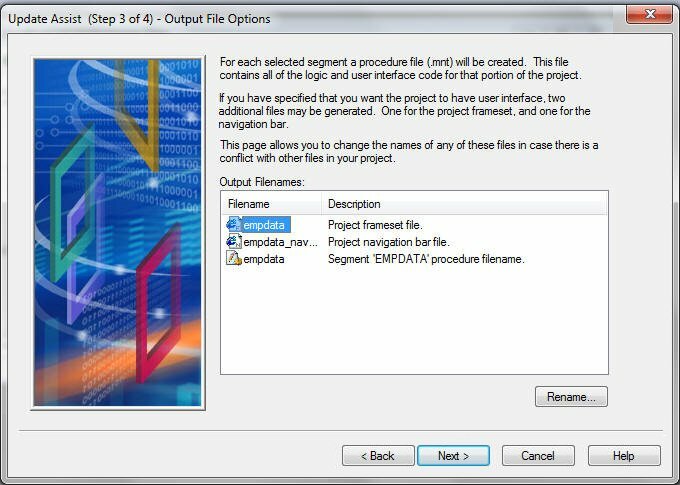 The following image shows the Output File Options window. Lists the files that will be created by Update Assist. Allows you to change the selected file name.